Many enjoy the convenience and vision of contact lens wear. However, contact lenses can cause lack of adequate oxygen to the cornea. Symptoms include light sensitivity, tearing, feeling sand in your eyes, and blurred vision. 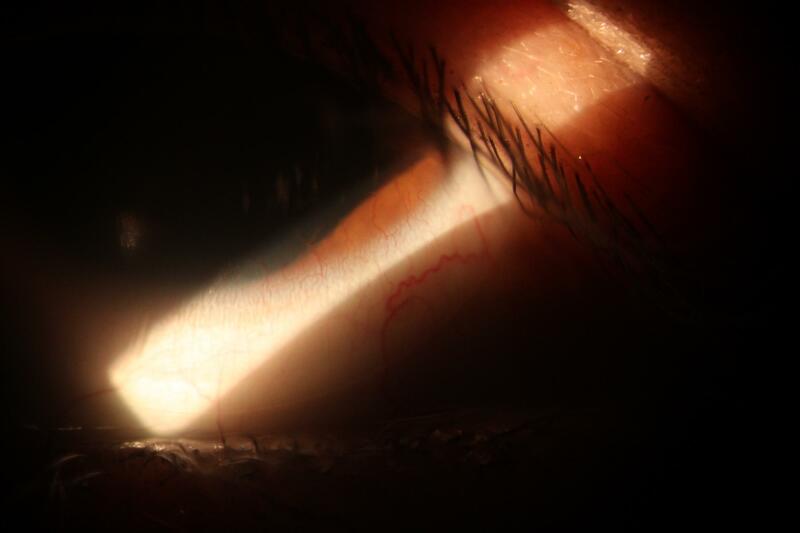 Contact lens overwear can cause abnormal blood vessels, shown below, onto the cornea, as well as abnormal corneal cells’ size and shape. I recommend either changing contact lens material or decreasing the number of hours of contact lens wear. Overwear can ultimately cause contact lens intolerance, where you will no longer be able to wear contact lenses.